Branton Knife Works new project. Discussion in 'Branton Knife Company' started by Bobby Branton, Dec 5, 2014. I want to thank you for your interest in my new line of pocket knives. 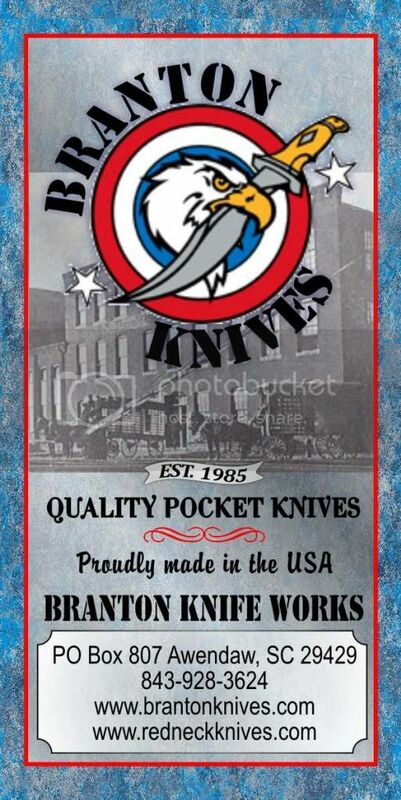 Branton Knife Works will be a new line added to the Branton Knife Company line of knives. When I began learning how to make knives back in 1984, I wanted to try my hand at making traditional pocket knives. I made a few over the years under the watchful eyes of George Herron and Claude Montjoy. I wanted to take a comprehensive course on making very old school traditional pocket knives, but there were no classes available at that time. I went back to making other styles of fixed blades and tactical folding knives. Some of these knives were made using the Mid Tech process which is simply a term to describe the blending of modern technology with old world craftsmanship. Over the years, I would buy a few traditional pocket knives to study in hopes of one day trying again. I am introducing my new line of pocket knives that are made using the mid tech process. This new line of knives will be made in limited numbers using old school technology, modern materials and assembled one at a time in my shop in Awendaw, SC. My first pattern will be a shadow Barlow pattern using the following specifications. 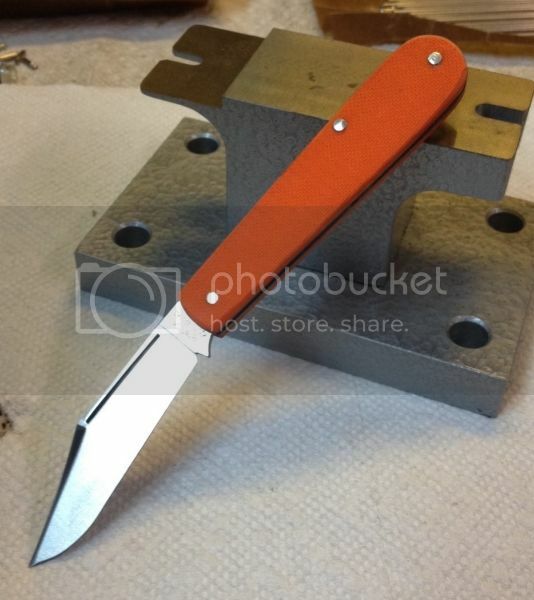 The pics below will give you an idea of the style knives that I want to do next with various handle materials and maybe even a run with long bolsters. The success of the first run will determine how far I will be able to go. Very nice Bobby! i like the wharncliffe secondary! Yep, put that with a spear main and I'd buy it in a heartbeat. Thanks guys. We'll get to it one at a time and hopefully I'll be able to build any combination for my customers. Bobby....Very nice looking work ! They are looking good, Bobby! Very desireable; I like the Red Neck Rivet along with the rest of the knife!!!!! These are really nice Bobby. I love the double bladed model. Is there any chance that you would consider making the blades in a stainless such as 154CM? If so I am definitely a customer for two. I am only a one man shop and I have decided to stay with the carbon steel at this time to keep things from getting mixed up.. 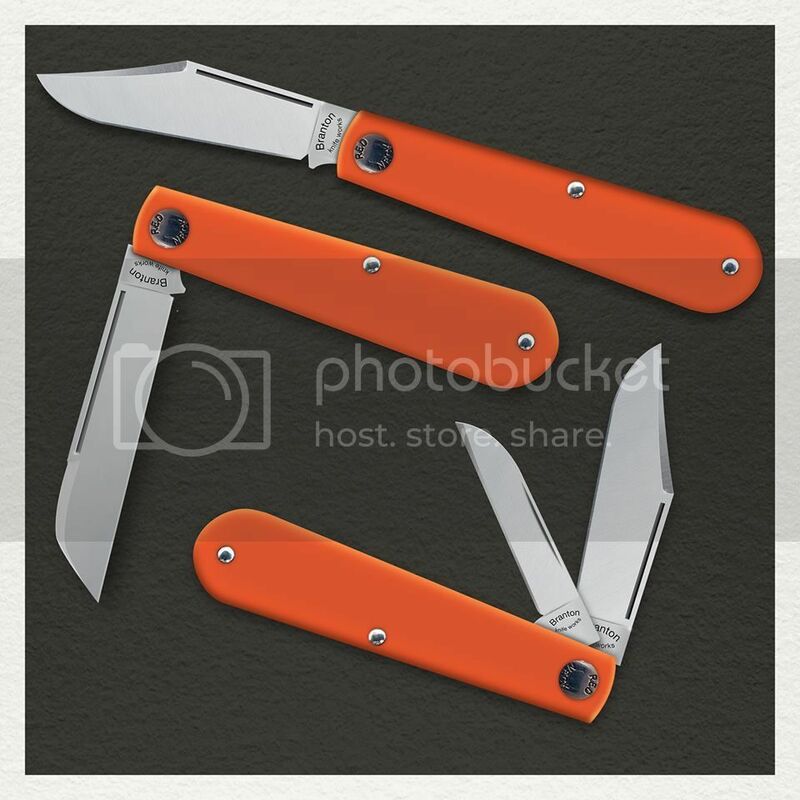 I will make custom versions with stainless blades, but they will cost more. Please let me know when you do.......I am definitely a customer. These are really nice Bobby. I love the double bladed model. Is there any chance that you would consider making the blades Vidmate iTunes Notepad++in a stainless such as 154CM? If so I am definitely a customer for two.